Scythe's extremely popular Mugen series has just received its newest incarnation. 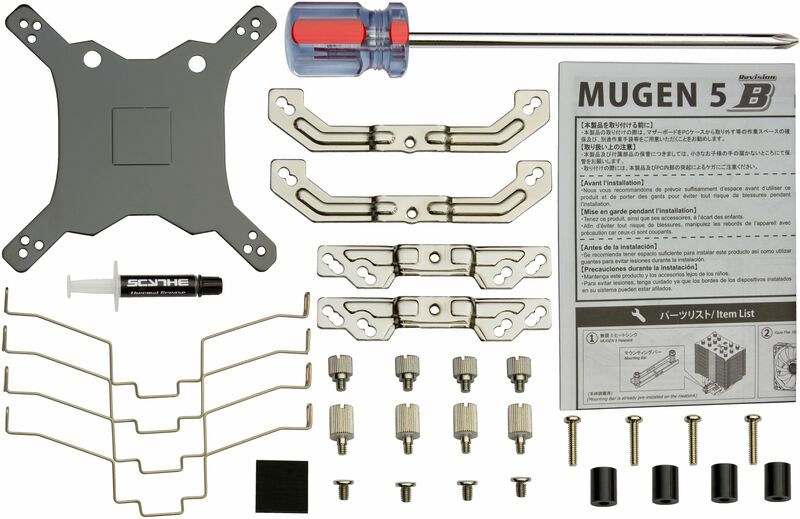 The Mugen 5 Rev.B now offers better performance and a new mounting installation. 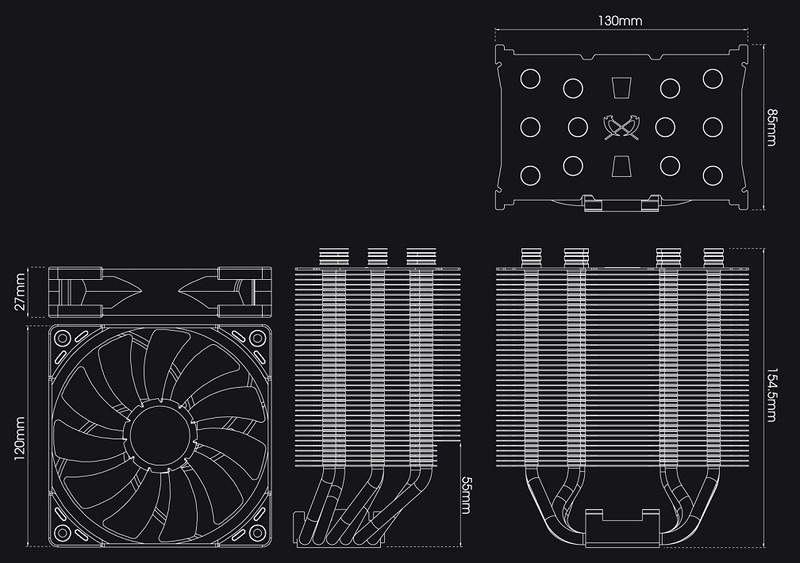 The revision B of the award-winning Mugen 5 CPU Cooler has been updated with a reworked mounting system, which now offers full compatibility with AMD's new AM4 platform. Spring-loaded screws prevent uneven pressure distribution and allow for a quick and easy assembly. The unusual shape of the heatsink provides unrivalled memory compatibility thanks to its asymmetrical design. 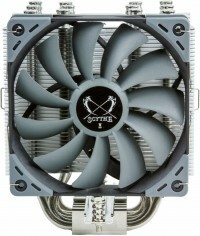 A fan from the new Kaze Flex series is used for active cooling. Sealed Precision FDB bearing and rubberised decoupler grant the fan with an increased smoothness during operation and an average lifespan of 120,000 hours. In addition to the polished and high-quality copper base-plate, the heatpipes are now completely nickel-plated, too. 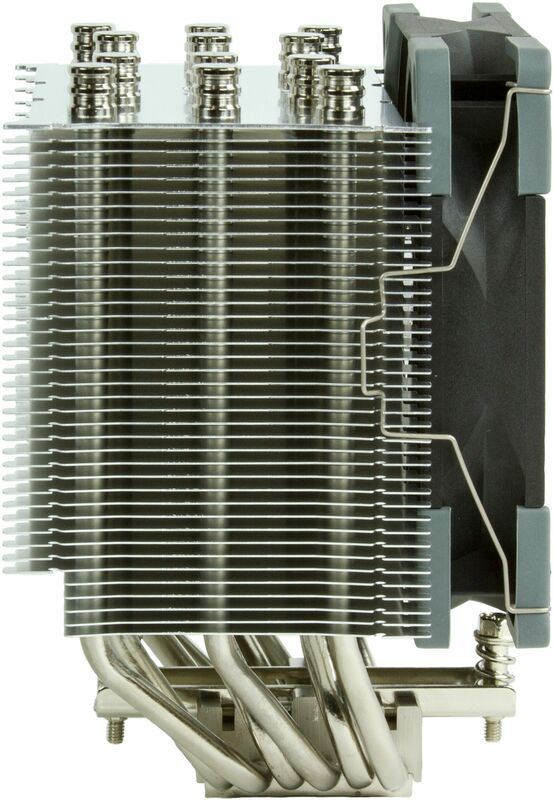 The result is an excellent and award-winning tower cooler that does not compromise either in terms of optics nor performance. 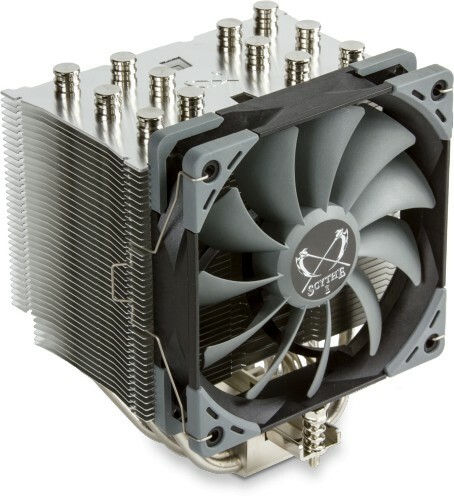 Ram modules with large passive heat sinks are no problem for the Mugen 5 Rev. B. 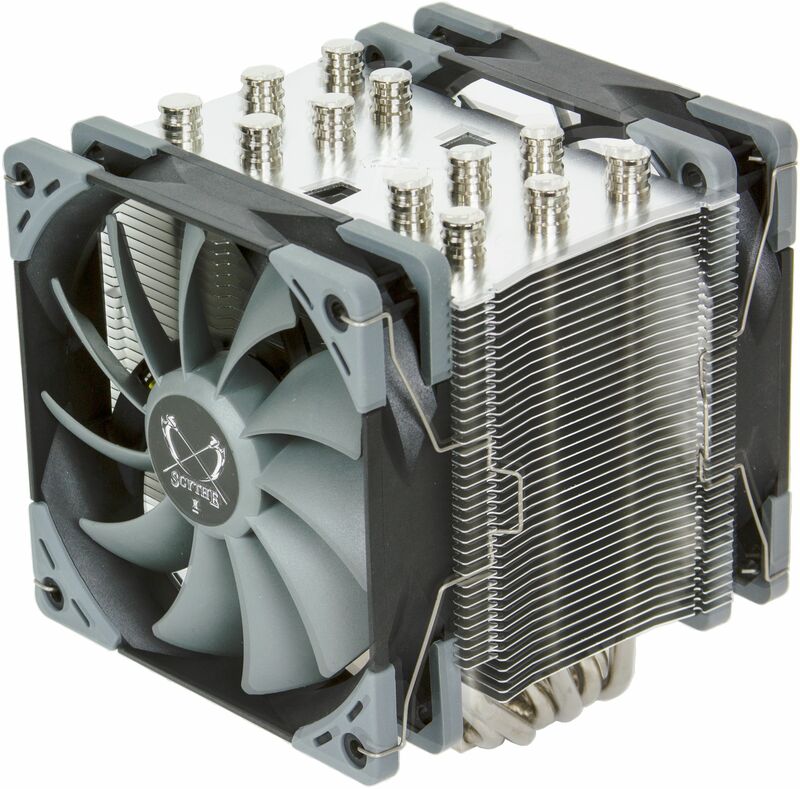 Its heatpipes are gently sloped backwards so that the radiator is not centered directly above the baseplate, but slightly offset. This asymmetric design allows unrestricted access to the memory banks. The Mugen 5 Rev. 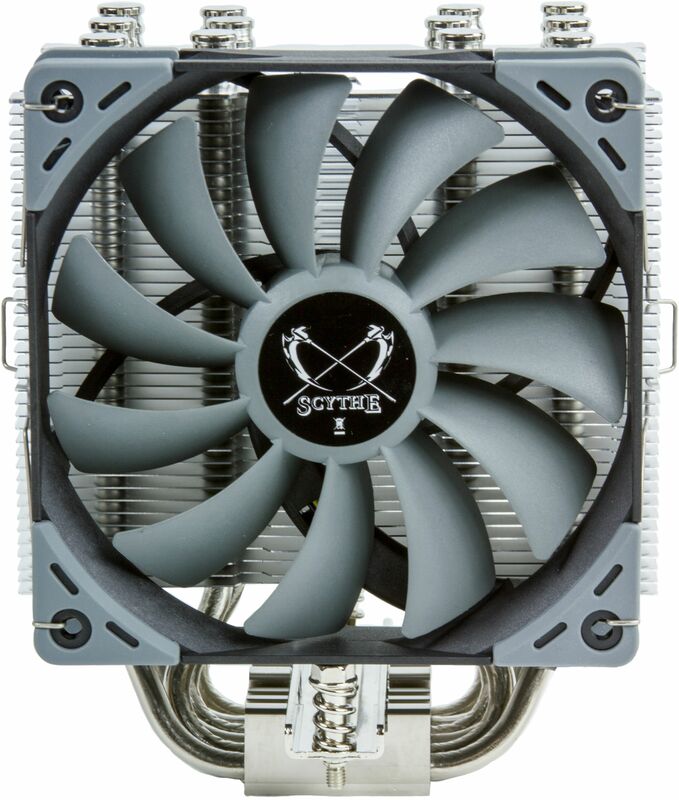 B is equipped with a PWM fan with a control range of 300 to 1,200 RPM from the newly developed Kaze Flex series to ensure a high level of stability and an average lifespan of 120,000 hours. The self-contained liquid bearing (Sealed Precision FDB) reduces friction and wear to a minimum with the help of a special oil film. Rubberised pads have a decoupling effect and prevent the transmission of any vibrations. The updated Hyper Precision Mounting System II now features full compatibility to AMD's new AM4 platform. A preassembled mounting bar simplifies the installation process, while spring-loaded screws prevent uneven pressure distribution. The Mugen 5 Rev. B package also includes an extra long screwdriver for easy mounting. Like its predecessors, the Mugen 5 Rev. B was designed to mount a second fan (not included). 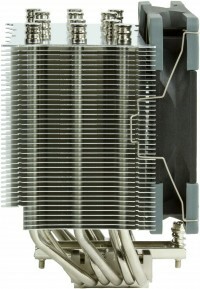 This leads to an increased cooling performance by making use of the push / pull principle. A second set of fan-clips are included.